People of Orissa know that their Political Government is of no use in times of calamities like the present flood, though the Executive Government may be of some use during and after the catastrophe. Therefore, oblivious of what their leaders are doing, they are, in their own way, fighting the flood. It is to be marked that the affected people belong mainly to the poor working class and marginal farmers, whose houses are not strong enough to withstand the deluge. The picture taken from a distance shows how the rising flood threatens the thatched houses as a helpless person has no other way than watching in despair. No necessity to say where, because it is everywhere in affected Orissa. Executive Government is claiming to have rescued 1.5 lakh people, but as per Deputy Relief Commissioner Pravat Ranjan Mohapatra, 84,650 persons are sheltered in relief camps. Where are the rest of the rescued persons? Answer won’t be available, because anarchy and confusion is the prevailing syndrome Orissa administration is afflicted with, as otherwise, two days ago, when the spate was menacing, the chief minister could not have declared that the “flood situation is under control”. But reality dose not support the CM’s claim, as thereafter the flood updates by officials show that the number of villages and victims of flood is in constant increase. 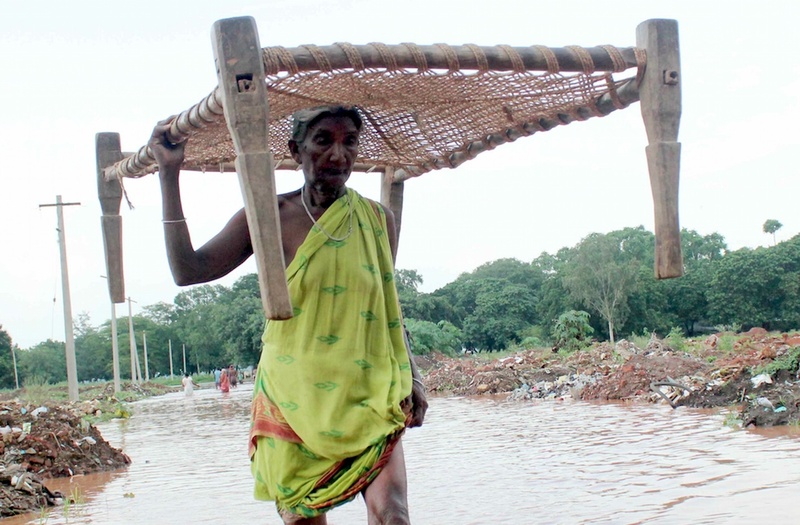 Minimum 28.58 lakh people in 4,951 villages of 134 blocks in 1,300 gram panchayats spread over 23 districts have been affected due to the floods, if the latest words of Special Relief Commissioner (SRC) are counted. All this is because of a nonchalant Political Government. 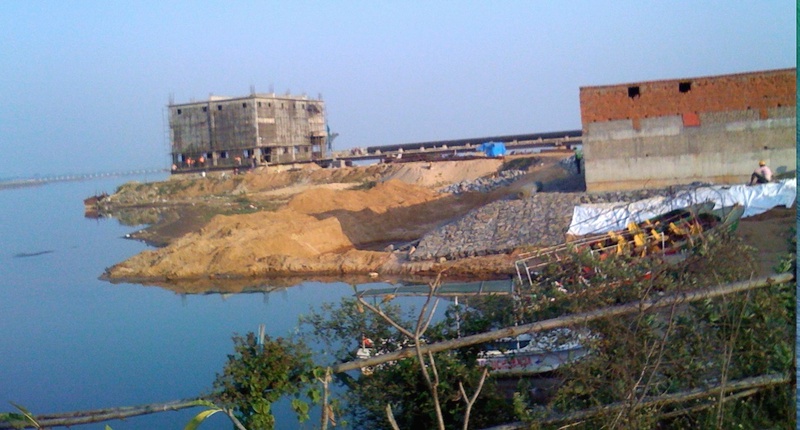 A man in political power for more than fifteen years, in charge over water resources, Mr. Naveen Patnaik has never bothered about proper maintenance of river embankments and has never contemplated to have even an Embankment Policy, whereas, the Water Plan 2004 is kept inconsequential by the Political Government. This Water Plan prepared by the Department of Water Resources, under control of Chief Minister Naveen Patnaik has been abandoned. Though the “Plan” makers failed to find how far the embankments are meant to withstand the discharge in the delta basin, they had made it unambiguously clear that the embankments are deficient in several counts. To quote it, “The embankments are deficient in several counts. They are not continuous. There are wide gaps at several places. They are not of uniform standard. Some are capital embankments, some are other agricultural embankments, some are test relief embankments and some are gherry bunds. The four categories have separate specifications. They are not properly designed. Most of them are deficient in slope and lack proper elevation at places. They are very poorly maintained”. 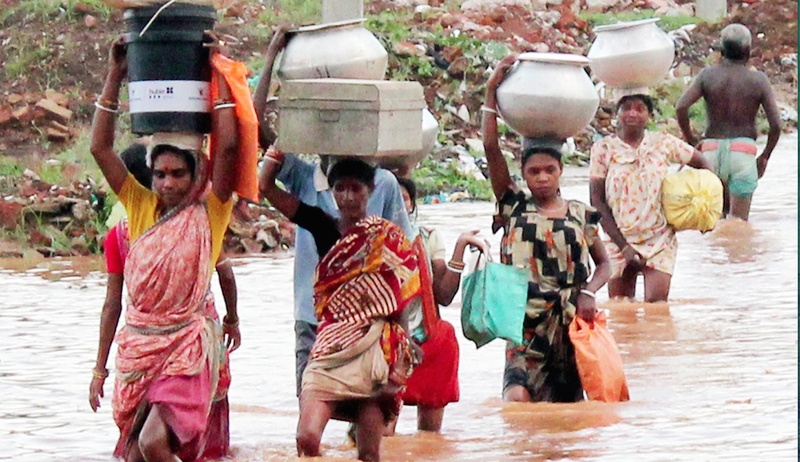 The present flood has its severity because of two river systems: Mahanadi and Baitarani. The situation has become worst, as because of his mad support to various industries, the natural beds of important rivers have been savagely tampered with, leading to breach of embankments under pressure of water debouching or over jumping the banks and levees. The Water Plan 2004 had viewed lack of drainage a major reason of flood. To quote it: “Due to poor drainage system of the area, the flood water stays on and damages the crops and canal system, public and private utilities and properties. When this flood water combines with local rain water, the problem becomes more severe and acute”. Yet the government has failed to understand this phenomenon and helped industries strangulate the natural drainage. 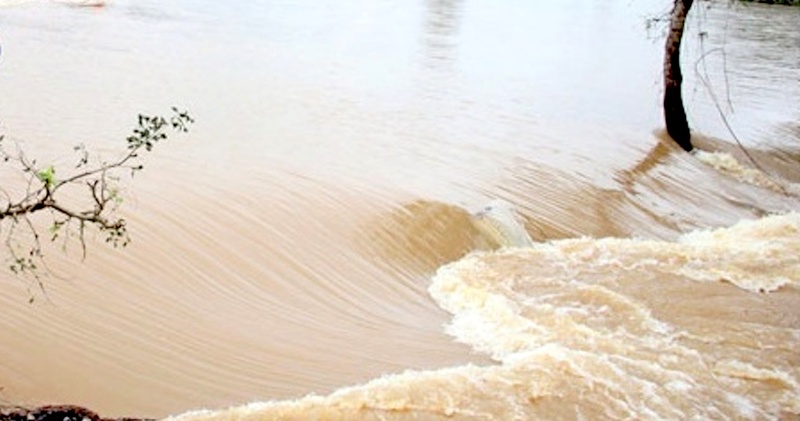 When the above two pictures show how Mahanadi is being strangulated, the two pictures below focusses on the debacles Baitarani is being subjected to by shrinkage of her natural breadth of flowing. From the history of flood in Orissa juxtaposed with data of recent floods, it transpires that strengthening of embankments to bear with 16 lakh cusecs of flow is essential to provide the people with enough protection from flood devastation, because floods of post-Hirakud period have not exceeded this volume so far. Only the Political Government could have done it. But Orissa’s Political Government, particularly under the preening prince of Bijudom, has blatantly failed. The political Government could have erected additional dams to obstruct floods of this type in a more effective and useful manner. 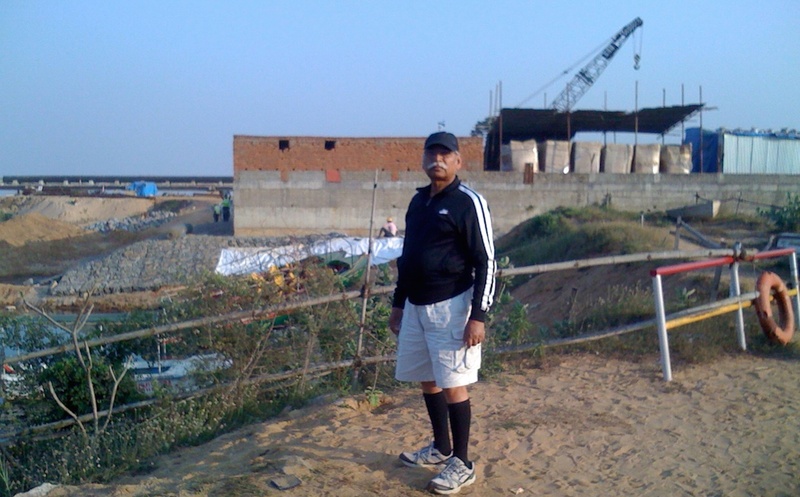 A dam at Tikarpada and another at Naraj in addition to Hirakud would fully control flood in Mahanadi delta, had underlined Dr. A.N.Khosla, He was certainly right, but vote bank politics punctured the proposal. 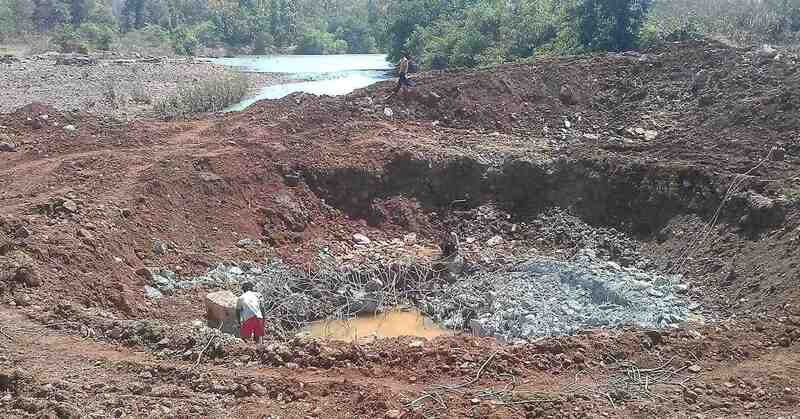 In such circumstance the Water Plan envisaged “construction of a pond with conservation level of RL.54.90m. The control structure has to be designed in such a manner that the outflow from the pond will be limited to a safe discharge of 9 lakh cusec when a 100 year flood impinges. From routing studies it is seen that this is possible if the water level is allowed to rise to RL. 77.0m. When the design flood passes areas lying farthest from the pond will be submerged for only 24 hours and area closest to the pond for a period of 6 days and 6 hours (once in 100 years.). 64 villages will thus be affected. 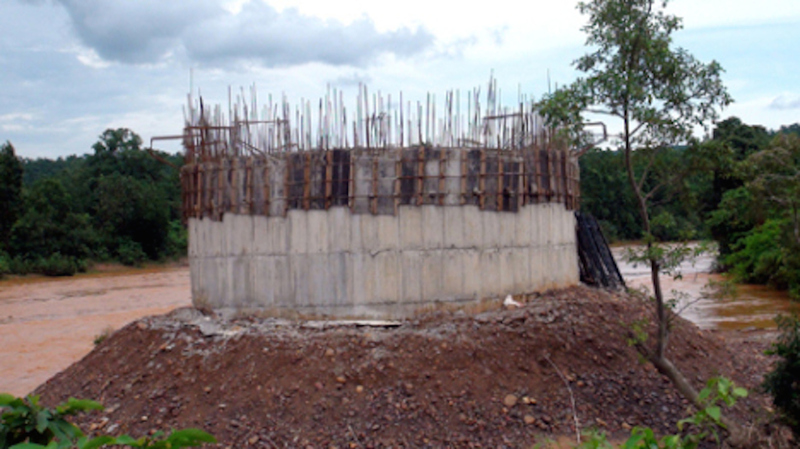 Habitations need not be submerged as gherry bunds up to 2 m height above flood level will be constructed around them. No towns will be affected. The proposal seems attractive and need further detailed investigation and proper design”. The Water Planners had further said, “Even if this proposal may not be accepted fully, a combination of the following measures may be considered. Some exclusive flood storage in the tributary reservoirs should be developed to reduce the MWL of the barrage.The ‘dynamic storage’ may be reduced to a lower level acceptable on submergence point of view. The safe discharge at Naraj may be raised to say 14 lakh cusecs experienced in 2001 and 2003 by strengthening the embankments. A better flood forecasting mechanism at Hirakud to enhance the flood moderation capacity of the reservoir” was stressed upon. Behind this was location of specific drawbacks in flood forecasting system. To the Water Planners, “data transmission mechanism” was “unreliable” particularly at the time of flood, while observing that the “existing data communication mechanism is time consuming”. A single UG for a big catchment unit area up to 60,000 km2 involves error and the process of estimation of effective rainfall is also full of error, it was pointed out, in the Water Plan. Therefore, there is enough scope for development in the existing flood forecasting mechanism, it was pointed out in the Water Plan. But, the facilitator of POSCO, Vedanta, Tata, Bhushan and all such likes, got no time in the last ten years to pay attention to this. Now as 38 deaths officially reported, 526 villages with 3.26 lakhs pf people marooned as per official report dated yesterday, at least 6.57 lakhs of livestocks severely affected when 96 domestic animals are dead and 2,69,765 Hectares of standing crop totally damaged, 24,823 houses collapsed (Ibid), the loss in terms of health and man days unfathomable, the brave people of Orissa are trying to save themselves, as the Political Government has failed them.